YOUNG MONEY APAA Sports is now the premier full-service sports agency in the industry. We will hold ourselves to the highest standards and provide our clients with every opportunity to succeed. It is only with hard work, personal service and passion that we can continue our success. 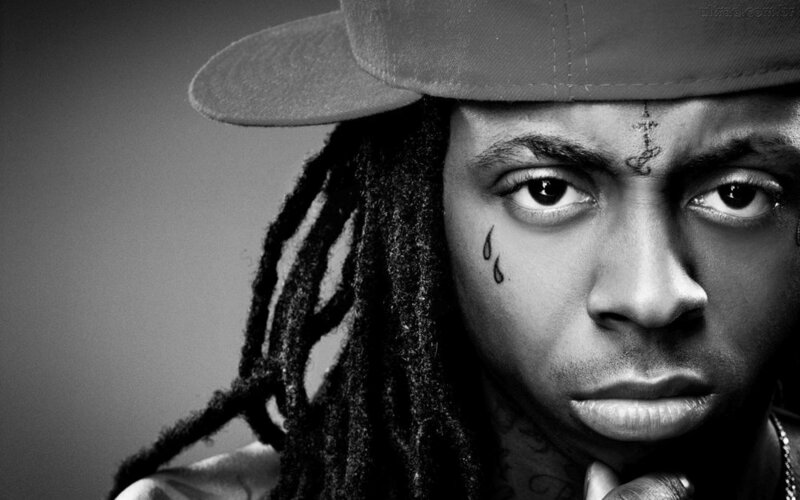 CEO of Young Money Entertainment (#2 most successful rap label in the history of the genre). GRAMMY award Winner. Discovered superstars Drake and Nicki Minaj. Surpassed Elvis Presley on the Billboard 100 charts with most entries for a solo artist. COO Young Money Entertainment. 6x Billboard 100 power list (recognizing the Top 100 players in the entertainment industry). Partner in Maverick Management company (#1 music management company in the world); clients include Lil Wayne, Nicki Minaj, The Weeknd, U2, Madonna, Miley Cyrus and more. Negotiated and closed deals with the likes of Pepsi, Coca Cola, Jordan Brand, Samsung, Beats by Dre and More. President of Young Money Entertainment. Brainchild behind all the music releases on the label. Negotiated and closed music deals for the likes Drake, Nicki Minaj and Tyga. Immersed in sports his entire life as his great grandfather founded Anheuser-Busch and his grandfather owned the St. Louis Cardinals. After graduating with a double-major in Real Estate Finance and Sports Management from Southern Methodist University, Adie spent the early years of his career primarily focusing on sports marketing where he was able to set himself apart from others in the industry due to his forward and creative thinking. Adie created unprecedented wealth for his clients by securing not only large endorsements, but equity ownership in companies that continue to grow into national powerhouses. Adie formed APAA Sports Group because he understood the value of having all of the necessary services that clients demand under one agency, something he saw that many other companies failed to address. Co-Founded PlayersRep Sports Management in 1997. Andy signed and negotiated his first NFL contracts while a law student at Case Western Reserve. Andy oversees Football Operations at Young Money APAA Sports including negotiation of player contracts, marketing opportunities, coordination of financial and tax advice, and legal services. He is a member of the Ohio Bar Association. Andy and his wife have two daughters, and live in Ohio. Co-Founded PlayersRep Sports Management in 1997, and began his agent career in 1995. Wesley shares in the overseeing of Football Operations, which includes negotiating contracts, off-the-field ventures, marketing opportunities, coordination of financial and tax advice, and post career counseling for all clients. Wesley and his wife have three sons, and live in NC. Agent since 2001, Dave joined PlayersRep after working for 2 years with a sports marketing company prior to becoming a certified agent. Initially focusing on marketing and public relations for clients, Dave continues in that role but also has negotiated hundreds of NFL Contracts. In addition, Dave is in charge of new client development as he directs/coordinates all player activities leading up to the NFL Draft each year. Dave and his wife have two daughters and one son, and live in Illinois. Ken has been an NFL Certified Agent since 1997 and is a practicing attorney. Prior to joining PlayersRep, Ken was the Managing Director of Football Operations at GSM and before that, President and Founder of STAR SPORTS, Inc. He is a member of the Arizona Bar, the Illinois Bar, the American Bar Association, and the Sports Lawyers Association. Ken received his Juris Doctor from Chicago-Kent College of Law and his Bachelors Degree from Syracuse University. Ken and his wife have two daughters, and live in Illinois. Certified as an NFL Agent in 2013. Cody joined PlayersRep after working for XL Sports, as their Director of Recruiting and Marketing. A graduate of North Carolina State University, Cody has a Bachelors in business and sports management, and holds a Masters in sports management. Cody, originally from Pennsylvania, lives with his wife in North Carolina. Certified as an NFL Agent in 2015. Nicole received her Juris Doctor from the University of Oklahoma College of law, where she graduated with honors. Nicole is a practicing attorney and a member of the Texas Bar Association. Prior to law school, Nicole worked on Wall Street as a financial analyst, where she successfully passed the Series 7 and Series 63 General Securities Representative Exam. Nicole and her husband live in Texas. Darryl has been associated with basketball his whole life as a player and executive. A former Pac-10 standout at Washington St., as director of basketball operations at Young Money APAA, Darryl is involved in all aspects of client representation and first certified with the NBPA in 2000-2001. Prior to joining Young Money APAA, he had experience working with large agencies like Priority Sports and ASM. A graduate of the University of New Orleans in 2012, with a degree in Business Administration, Keith decided to further his career to become a sports agent because of his dedication, passion and love for basketball. In 2016, Keith became a certified agent with the NBPA. The competitive nature of this field allows Keith to remain true to his philosophy of building a foundation and relationship with each client. His goal is to influence his clients to leave a tremendous impact, on and off of the court, for not only themselves but for the next generation.